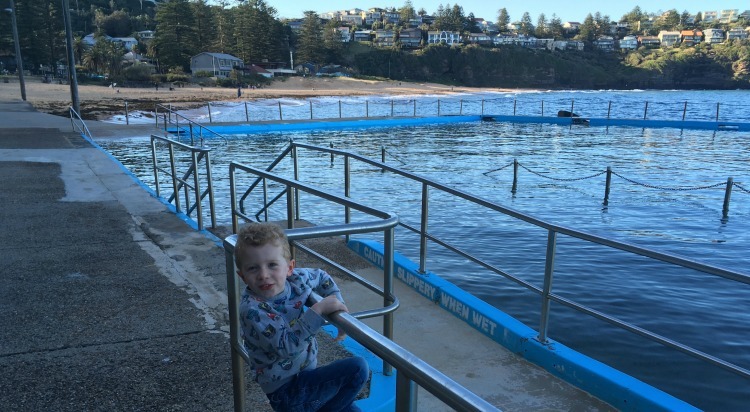 We’ve already told you about our favourite beaches in Pittwater for families, but here are some other kid-friendly beaches on Sydney’s Northern Beaches that might even tempt families to make the cross-bridge journey. The most northern point of the beaches peninsula, and ideal for a long walk! Even if you’re not from the Northern Beaches, who can’t remember a family road trip up to the gorgeous Palm Beach for fish and chips? You truly feel like you’re in a holiday destination when you get here. The rock pool at the southern end at Cabbage Tree Boat Harbour is a family favourite, a walk up to the lighthouse is never out of the question, and a picnic at the grassy area is always a good idea. The calm waters near the shore are nothing for young swimmers to fret over, nor do the waves out back deny a bit of body boarding. The mansion-encrusted cliffs are a sight for sore eyes, too. 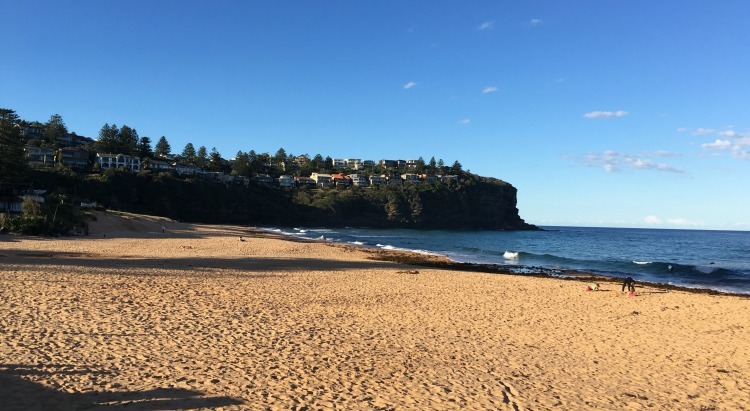 This one’s smaller and less well known as some of it’s beloved Northern Beaches counterparts, but still a great one for families. It’s plonked right in between two cliffs, is less crowded than other beaches in the North, has a rock swimming pool and a cafe with comfy outdoor seating- so it ticks a lot of boxes! There’s good waves for boogie boarding and plenty of space (it’s 500m long!). There’s known to be a rip or two here, so even though it’s patrolled, keep an eye on your kids! Dee Why is a great surf beach, and an awesome Summer spot for families too. If you’re with young children, snag a spot at the south end near the not one, but TWO ocean pools- that’s hours of exploration time covered while you sun bake! If this wasn’t enough, there’s a fully fenced playground at the south end too. There’s another playground and an oval near the large car park. Across the road from the beach, there is not shortage of eateries and shops to browse, so a day at Dee Why really can keep you busy for hours. Golden sand, a large shady reserve with picnic tables, rocks for mini explorers to clamber on, the super kid friendly Le Kiosk Cafe (that is RIGHT on the beach), and just a short walk from Fairy Bower rock pool…there’s no shortage of family fun at Shelly Beach, part of Cabbage Tree Bay. It’s secluded, has an ocean pool on the south end ideal for toddlers and there’s a reef perfect for snorkelling and spying on some marine life. All the boxes have been ticked! Just around the cliff from Palm Beach, you’ll find Whale Beach, with it’s signature pinky-gold coloured sand. It’s just 6oom long, has 40m high sandstone headlands on either side, and a 25m safe and shallow rock pool at the south end! Although it’s surf can get pretty big, the small playground with sand play area and the rock pool where crabs can be found scuttling still present a major drawcard for families. There’s great eateries too. Another popular surf spot. Families enjoy the two rock pools, one smaller and shallower than the other ideal for younger children. Kids can always be found clambering over the many rocks, shifting them round, splashing about and chasing crabs. There’s also a playground for younger children, large shady trees, and BBQ areas for a picture perfect picnic day. Our favourite part? Definitely lunch at Avalon On The Beach- we had a delicious, scenic time there recently.